A Wrongful Death claim is a lawsuit pursued when someone is killed as a result of another person’s wrongful conduct. The Wrongful Death Statute in Alabama is unique compared to other states in that it only allows for punitive damages (money paid to punish the wrongdoer) and does not allow for compensatory damages (money paid to a person as compensation for their loss). When a loved one dies from a traumatic and unexpected accident, family members are often left stunned, hopeless, angry and unsure of where to turn. Often times, the next of kin is hesitant to contact a lawyer, but the time immediately following a tragedy can be crucial to ensure the responsible party is held accountable for their wrongdoings. For example, photographs of the scene need to be taken and eyewitnesses need to be contacted. The appointment of a personal representative may involve probate proceedings. The process may become contentious. In many cases, family members are much too overwhelmed with grief to have the time or energy necessary to file legal claims. Farris, Riley & Pitt, LLP can handle all required filings and court appearances on your behalf so you can take all the time you need to grieve. Our firm will also be able to speak to insurance companies for you and engage in settlement negotiations. When an insurer will not make a satisfactory offer, we can file a lawsuit for a jury trial. Farris, Riley & Pitt, LLP have obtained several multimillion dollar verdicts and settlements. Kirby Farris and Ken Riley are both admitted to the United States District Court for the Northern District of Alabama, United States District Court for the Middle District of Alabama, and United States District Court for the Southern District of Alabama, in addition to the Alabama Supreme Court. Our firm has handled several wrongful death cases, and can immediately conduct an independent investigation to determine the specific cause of your loved one’s death as well as all possible liable parties. We will collect all necessary evidence and interview all relevant witnesses. The attorneys at Farris, Riley & Pitt, LLP have represented many families who have lost loved ones. They understand that each element of the case is crucial and fundamental in recreating the sequence of events that led up to the victim’s death and the events that happened immediately following the death. Often times, accident reconstructionists will be employed; other times, machinery or products need to be evaluated and analyzed for faulty components. Our wrongful death attorneys will go to great lengths to make sure all evidence need for trial has been developed, prepared and utilized. Under Alabama Code § 6-5-410(a), the personal representative can commence an action to recover damages for the death of a testator (person who made a will or gave a legacy) caused by the wrongful act, omission, or negligence of another party. The personal representative is typically named in a person’s will. If the deceased did not have a will, a probate court will have to appoint a personal representative. A wrongful death action is essentially the personal injury claim that the deceased would have filed had they survived. Instead, the personal representative is the person filing the claim. The claim will generally require that the personal representative prove three elements by a preponderance of the evidence: the defendant had a duty of care to the victim, the defendant breached that duty of care, and that breach caused the victim’s death. Many insurance companies will attempt to argue that a victim’s own actions contributed to or directly caused their death. It is important for family members and personal representatives in these types of cases to understand how contributory negligence works in Alabama. Under state law, a defendant in an injury action can argue to affirmative defense of contributory negligence. Contributory negligence is defined as any negligence on the part of the victim that contributes to their injury. In Alabama, a victim who is found to have contributed to the cause of their injuries to even the slightest degree will be prohibited from seeking damages. For this reason, it is important for anybody involved in a wrongful death claim to avoid making a recorded statement to an insurer. Alabama Code § 6-5-410(c) establishes that the damages recovered in a wrongful death action are not subject to the claims of creditors. An award collected by a personal representative must be distributed to the intestate heirs of the deceased—even when a will leaves the entire estate to someone else. Under Alabama Code § 6-5-410(b), a wrongful death may be maintained even when there has been no prosecution, conviction, or acquittal of the defendant for the wrongful act, omission, or negligence. In cases in which criminal charges have been filed against a wrongdoer, Alabama Rule of Evidence 609(a)(1)(B) states that evidence that an accused has been convicted of a crime can be admitted if the court determines that the probative value of admitting the evidence outweighs its prejudicial effect to the accused. Proving a wrongful death can be exceptionally difficult. Family members are rarely with their loved ones when they are killed, and they thus have no way to take photographs or personally seize any important evidence relating to the death. Farris, Riley & Pitt, LLP will not only be able to diligently investigate the cause of death, but our firm will also identify all of the potentially liable parties. We can obtain police reports, review medical records, and consult with necessary experts. Alabama Code § 6-5-410(d) states that a wrongful death action must be commenced within two years of the date of the victim’s death. It is important to note that other provisions of Alabama law can affect the timing of a wrongful death claim, such as claims against municipalities or counties. Under Alabama Code § 11-47-23, any claims for damages growing out of torts against a municipality must be presented to the clerk within six months. Alabama Code § 11-12-8 establishes that claims against counties must be presented for allowance within 12 months. In every case, a person will want to retain legal counsel as soon as possible. Damages are also limited, or “capped,” in these types of cases. Under Alabama Code § 11-47-190, no judgment or combination of judgments against a municipality and/or any officer or officers, or employee or employees, or agents thereof can exceed $100,000 per injured person up to a maximum of $300,000 per single occurrence. Alabama Code § 11-93-2 limits the maximum amount of damages recoverable against governmental entities to $100,000 for bodily injury or death for one person in any single occurrence and $300,000 in the aggregate when more than two persons have claims or judgments on account of bodily injury or death arising out of any single occurrence. How are damages divided in wrongful death cases? $50,000 plus one-half of the balance of the intestate estate when there are surviving issue, all of whom are issue of the surviving spouse also; and one-half of the intestate estate when there are surviving issue, one or more of whom are not issue of the surviving spouse. Alabama Code § 43-8-41 establishes that the part of the intestate estate not passing to the surviving spouse or the entire intestate estate if there is no surviving spouse passes as follows: children divide the estate equally if all of the same degree; the parent or parents inherit everything if there are no children; siblings if there are no children or parents; and grandparents or issue of grandparents if there are no children, parents, or siblings. Are wrongful death damages taxable? No. While most personal injury awards are not taxed under state or federal law, the Internal Revenue Service does typically tax punitive damages. Fortunately, Internal Revenue Code (IRC) §104(c) contains an exception when the applicable state law provides only punitive damages can be awarded in wrongful death actions, such as in Alabama. The Centers for Disease Control and Prevention (CDC) reported that there were 146,571 unintentional injury deaths in the United States in 2015, translating to 45.6 deaths per 100,000 people. The number of emergency department visits for unintentional injuries that year was 30.8 million. According to the CDC, 33,381 deaths were the result of unintentional falls, 37,757 were motor vehicle traffic deaths, and 47,478 were the result of unintentional poisoning. Farris, Riley & Pitt, LLP has been helping families all over Alabama for more than 20 years. Our firm understands the devastating long-term impact that a loved one’s death can have and is committed to helping you get justice. If your loved one was killed by another party’s deliberate conduct or negligence in Jefferson County, you will want to contact Farris, Riley & Pitt, LLP right away. 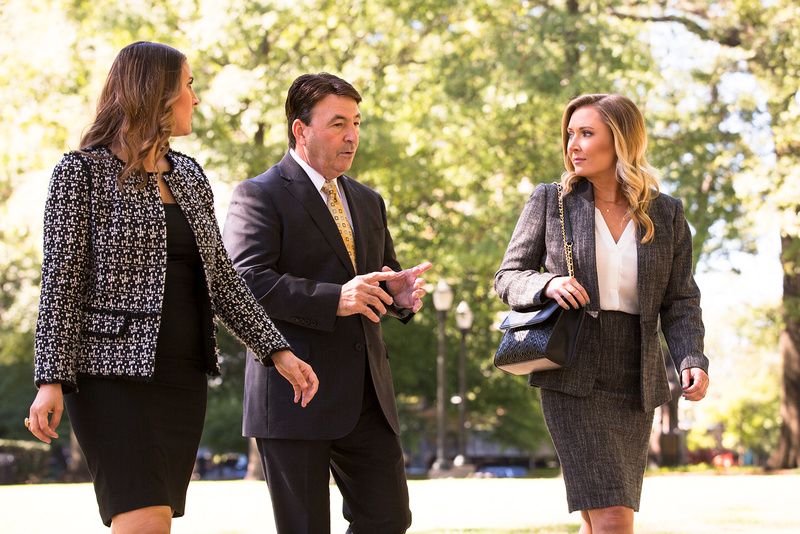 You can have our lawyers provide an honest and thorough evaluation of your case when you call (205) 324-1212 or contact us online to schedule a free consultation.